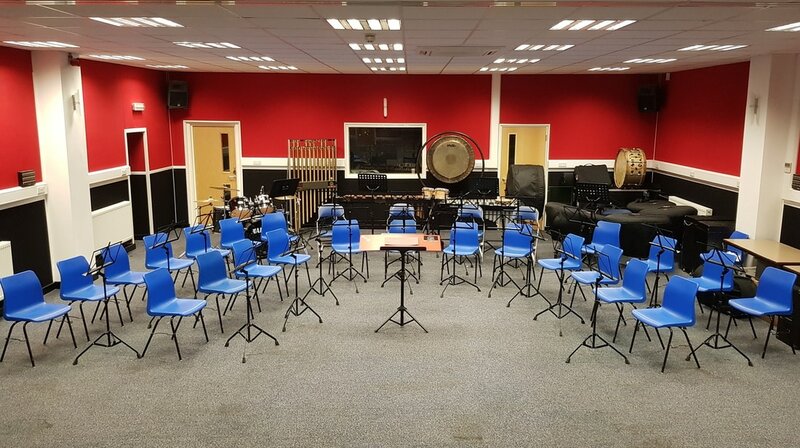 We can cater for a wide variety of musical genres ranging from instrumental/vocal soloists to large ensembles in our spacious studio environment (dimensions approx. 10m by 20m). If you cannot come to us then we can come to you. Our studio merges digital recording technology (sampling at up to 192kHz 24 Bit) with a 24 track analogue desk together with a range of compressors, reverbs and effects. We can advise and guide you on the Performing Rights Society and how to get a licence to release your music for sale. The internet allows you to potentially reach millions of music lovers. We can help you to get your music on digital music platforms such as iTunes, Spotify, YouTube, Google Play, Soundcloud, Deezer, etc. We can transfer your precious old recordings from vinyl, cassette, minidisc or DAT to CD/MP3. These can be created to suit your recording needs e.g. tempo changes such as accelerations/slowing down or the style/groove of the music. Need extra parts for your song? Need help with the composing process? My saxophonist needs sheet music to play from! Our in-house musicians are more than capable of helping out. The studio is fully air-conditioned with wifi and HD projector available. We have a pool table so during the down time between recording sessions you can relax and have a game of pool if you need to!! There is a fully fitted kitchen together with a chilled water dispenser, toilets and even shower facilities.